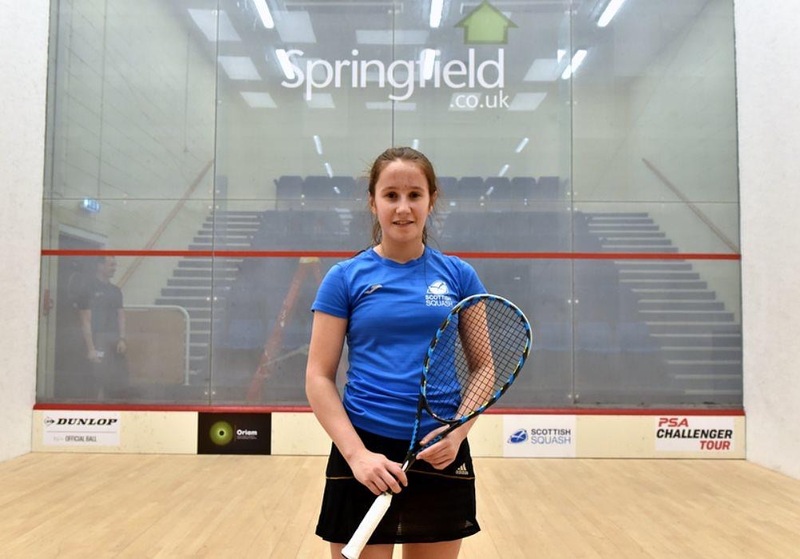 The 15-year-old was due to play seasoned English player Rachael Chadwick in round one on Wednesday but received a walkover into the next round after Rachael pulled out. It meant Lucy had to wait another 24 hours to get on court and she took on sixth seed Jasmine Hutton in round two this afternoon (Thursday). 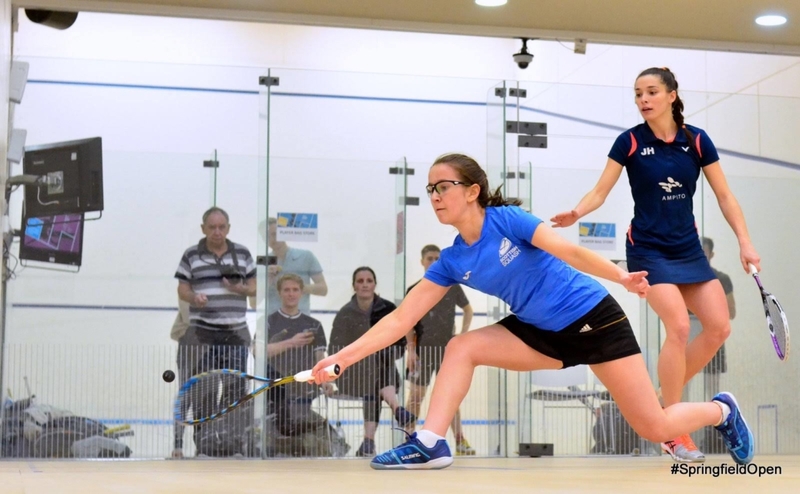 Despite the Crieff starlet taking an early lead in the opening two games, Jasmine, world ranked 82, proved too strong, winning 11-2, 11-2, 11-2. “I really enjoyed it,” Lucy said. “There were a bit of nerves and excitement before my match, I just wanted to do well and try and make her work hard. “It was very tough but I am glad I got the opportunity to play in such a big tournament against a quality opponent. 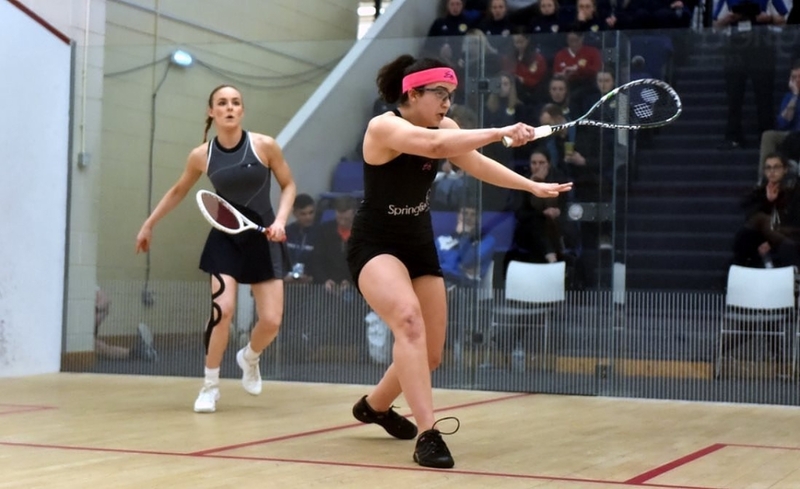 Lucy Murchie in action against Jasmine Hutton. “Sometimes I thought I managed to put Jasmine in difficult positions but she recovered really well. “Her intensity is so much higher to what I’m used to and for me to get that experience is brilliant. 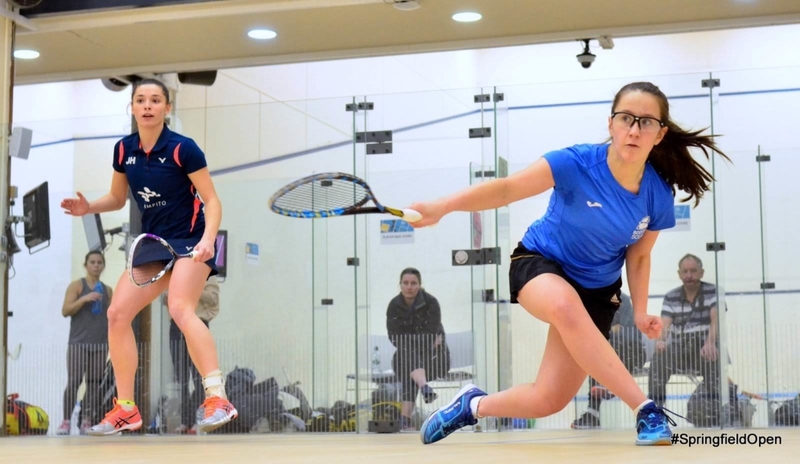 The three-time Scottish Junior champion continued: “It’s been amazing to be involved and experience a big event like this and so good to watch some of the top players competing. “Seeing how these players go about their preparation has been a key learning. “Some of them are preparing up to an hour before a match which is completely different to what I’m used to. Next for the Crieff High School pupil are the U19 European Team championships which take place in Prague, Czech Republic from 18-21 April. And May sees her donning Scotland colours once again at the U17 European Team Championships in Eindhoven, Netherlands (9-12 May). Lucy added: “I’ve never played at the U19 Europeans but I’m sure it will be a good atmosphere and the European Under-17s event is always good fun. “It’s my birthday when I’m in Eindhoven and I’m also sitting two National 5 exams whilst over there so it’s going to be a busy time for me. 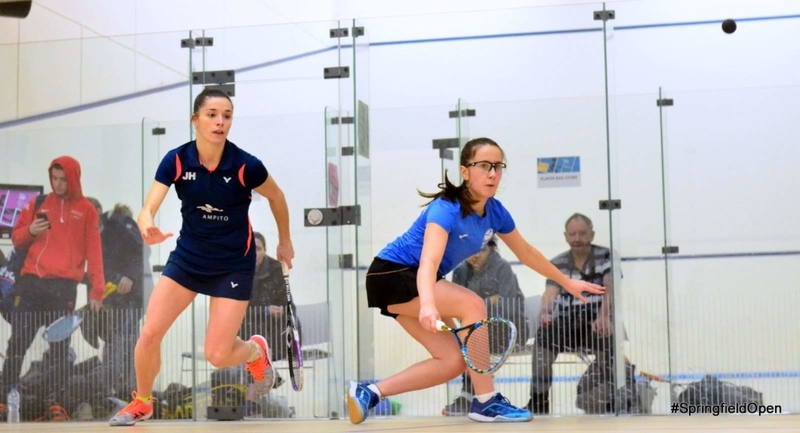 The 2019 Springfield Scottish Squash Open continues at Oriam; Scotland’s Sports Performance Centre, in Edinburgh until Sunday, April 7. We’ll keep you up to date with results and photos on our Twitter feed and over on the official event website here. 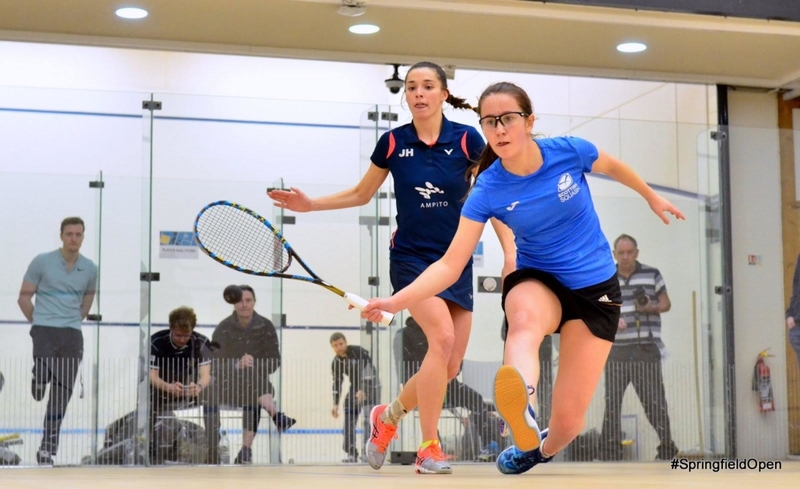 Scotland’s Georgia Adderley, above, is into the quarter-finals of the Springfield Scottish Squash Open.